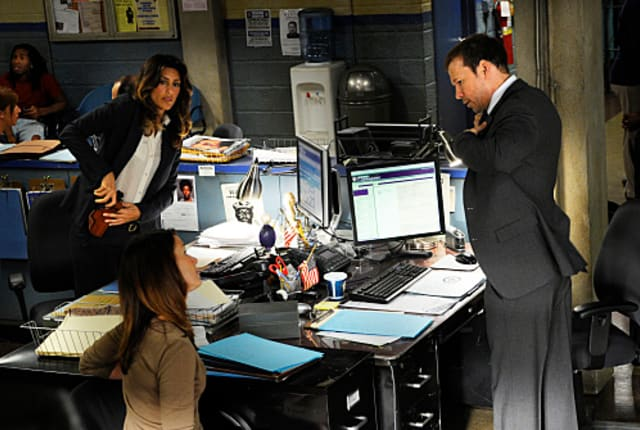 Watch Blue Bloods Season 2 Episode 1 online via TV Fanatic with over 10 options to watch the Blue Bloods S2E1 full episode. Affiliates with free and paid streaming include Amazon, iTunes, Vudu, Netflix, YouTube Purchase, Google Play, Hulu Plus, Amazon Prime, CBS All Access, and CBS All Access (Via Amazon Prime). On the season premiere of Blue Bloods, Frank is put on the spot when one of the mayor-elect's supporters is found dead. Jamie goes under cover at a bar and Tony Bennett and Carrie Underwood sing on "Mercy"
My Dad's too proud to sit around and wait for the ax to fall. Permalink: My Dad's too proud to sit around and wait for the ax to fall. My father is nothing if not customary. Permalink: My father is nothing if not customary.